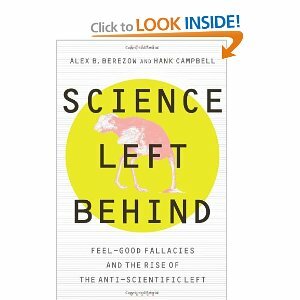 According to Science Left Behind (book review), there's a war on science, and it isn't raged by conservatives alone. 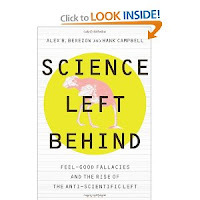 Progressives are also ideologues who refuse to listen to the science - it's just other areas that they dislike. I guess the difference is that the Progressive people who believe the anti-science items are on the fringe of the Progressive community. The Conservative people who deny evolution and climate change are in the mainstream of conservatives. Yeah, I think that is my experience also. But I'd sure like to see some numbers on it. I thought of one more you left out. I'm not sure that they don't believe in stem cell research, but are just against it for religious reasons, no?